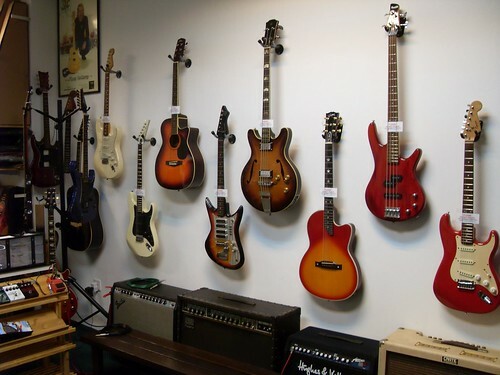 Vintage guitars and amps restoration specialist in Petaling Jaya, Malaysia. Many guitars were sold over the years in Malaysia and many of them have gone thru hard beating and some have suffer from early death due to miss handling and abuse by musicians or owners. It's time to bring back what used to be, that very favourite piece of instrument to 'LIVE' again. Bring back the lustre and the beautiful sound of the guitar that once sang for you. Whether you are a professional musician, a collector or just a home wannabe guitarist who just simply owns some very expensive guitars. These guitars are in some ways exposed to different types of environment and are subject to different wares over the years. Climatic changes in some countries has an effect on these instruments. A guitar which is frequently in use is a much healthier guitar than a stored away guitar in terms of condition. Feel free to surf around this website and hope you have an idea of what Guitar Pro Shop can offer to help you solve your guitar problems. If you love your instrument and needs to restore it, sent it in and you'll be glad you did.